Thank you for visiting today! Owner/broker John Walsh would be happy to help you with any of your real estate needs or questions. You can reach him via phone/text to 978-423-9309 or via e-mail to john@jw-realestate.com. 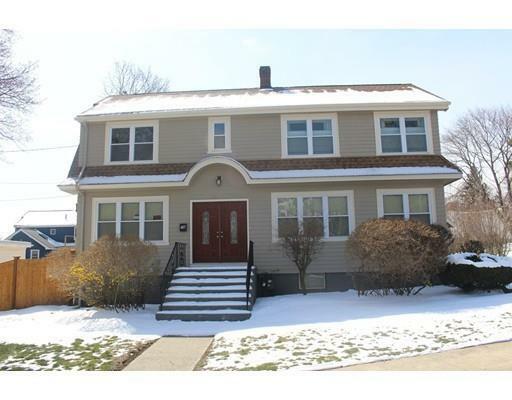 This pristine 3-bedroom, 2.5-bathroom Colonial was completely remodeled/renovated from 2013-present. Upgrades include new kitchen complete with granite counters, maple cabinets and stainless steel appliances. A living room and office on the first floor were combined to create a large living area complete with a wood burning fireplace. The master suite on the second floor is unique for a home of this era and boasts a master bath, sitting area and walk-in closet (Martha Stewart built-ins). Hardwood floors adorn all rooms except the bathrooms and finished basement, which are ceramic tile. The back deck leads to a cleared, level, fenced-in yard perfect for entertaining. This home is as close as you will find to new construction and is located on a lightly traveled road, with easy highway access. No showings prior to first open house Saturday (4/9) from 10AM-11:30AM.